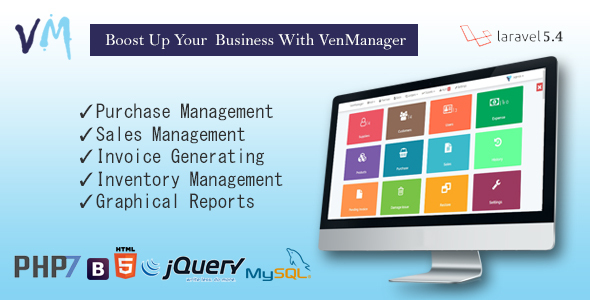 VenManager is a PHP Application uses the PHP Framework Laravel 5.4. This product will help you to gear up your business with new efficiency. Beautiful and user friendly interface that anyone can use without difficulty. This management system can be handled from anywhere and any devices. Just one internet connection can give you a total view of your business where location does not matter. Give retirement to the old one and enjoy your new days with VenManager.